Bharatiya Janata Party leader L K Advani's 'jihad' against corruption may have claimed Nitin Gadkari's head, but the Rashtriya Swayamsevak Sangh has still shown the veteran leader who calls the shots by pushing Rajnath Singh as the chief contender for the BJP president's post for a second time. 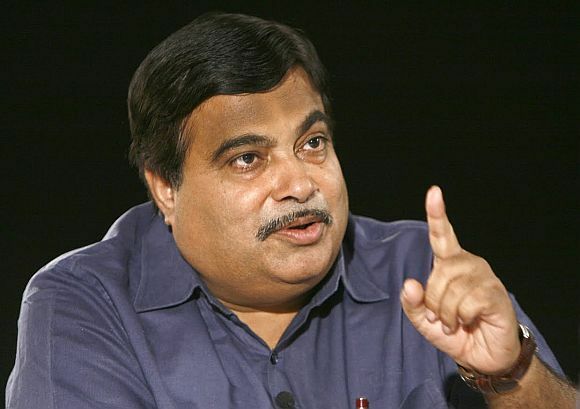 The 'visionary performer', a title Gadkari has bestowed upon himself, was all set to demolish the saffron party's carefully erected corruption plank by getting himself re-elected for a second time but the threat of Income Tax raids and multiple controversies surrounding the Purti Power and Sugar Limited finally pushed the Sangh to remove him from the scene. But this was not before the apparatchiks in Nagpur had pushed their next favourite, Rajnath Singh, whose candidature had been fiercely opposed by Advani in the early rounds of consultations between the Sangh and the BJP leadership over the party president's election. The late evening developments just the day before Gadkari was to formally file his nomination reflect the profound impact of the anti-corruption mood in the country on the principal opposition party's functioning and critical decision-making process. Gadkari's reappointment would have meant that the BJP was going to be led in an election year by a person under constant threat of being tainted by corruption scandals. Indeed, the public exposure of Gadkari's vulnerabilities eventually became too monumental for the RSS to ignore. The party has to seriously slip into an election mode and the RSS cannot ignore the argument, forwarded forcefully by the Advani camp, that having Gadkari at the helm of affairs will become a huge liability. At the same time, the RSS has not yielded ground to Advani completely. 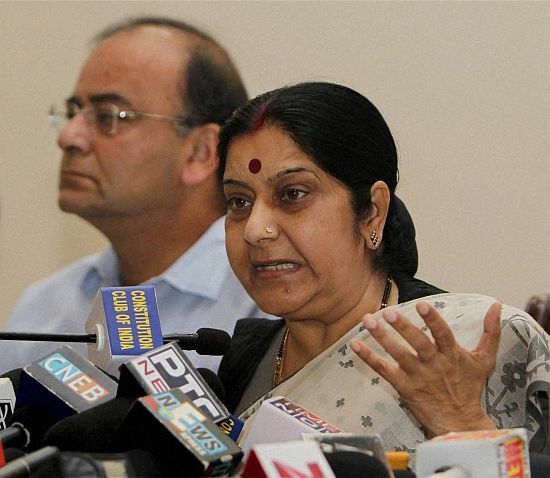 The veteran BJP leader's first choice for the post this time round was Sushma Swaraj. But the Sangh, while not opposed to Swaraj per se, did not want to be seen ceding ground to Advani. Rajnath Singh's name was then proposed from the Sangh quarters, but Advani did not agree. There were, of course, other contenders chief among which is Gujarat Chief Minister Narendra Modi, undeniably the only one in the BJP who has what the party insiders call a "hope factor" in the present political chaos. However, the RSS will avoid handing over the organisation to Modi who has shown a devastatingly destructive streak in Gujarat by decimating all the others -- Keshubhai Patel, Sanjay Joshi, Govardhan Zadaphia, Pravin Togadia et al Jaitley -- with his formidable influences in the media and the corporate world. 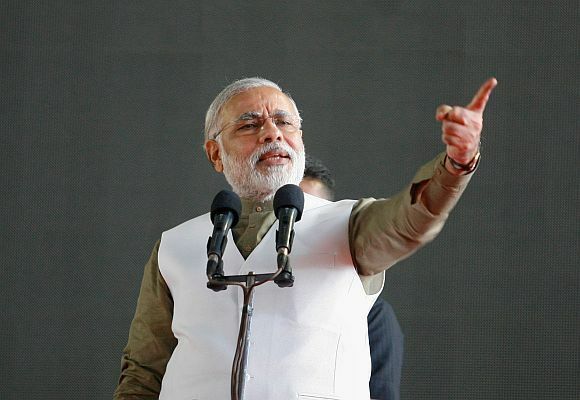 Modi is a tricky choice although the Sangh's chief point-person for the BJP affairs Suresh Soni is known to favour the suave lawyer and Leader of Opposition in the Rajya Sabha. Jaitley can also enlist the support from chief ministers -- Shivraj Singh Chauhan, Raman Singh etc -- if push comes to shove. In fact, so profound is Jaitley's influence over some quarters in the RSS, especially Suresh Soni, that Sangh is known to have instituted a team to preside over his activities. This is actually an unprecedented event in the history of RSS-BJP relations. To avoid any charge of factionalism, the RSS now has a team of three senior members looking after the BJP affairs -- Suresh Joshi, Dattatreya Hosbole and Suresh Soni. In fact, in the consultations between the RSS and the BJP that preceded Gadkari's re-election, Suresh Joshi accompanied Suresh Soni everywhere. The consensus clearly seemed to emerge around Rajnath Singh who has made few enemies if not won too many friends in his unremarkable stint as BJP president. For those baffled by the Sangh's insistence on such a liability as Gadkari as president of its political wing till the very end, it is best explained as an effort to curb factionalism in the BJP. Whether or not the stories about corruption scandals surrounding Gadkari were planted by other aspirants for the post of the BJP president, the fact is that the RSS believes these rumours to be true. The RSS would not want a precedent to be set by removing their handpicked candidate from a post merely because of some scandal-broth in the media. But in persisting with Gadkari, even if it is with the twin aim of warding off Advani and stemming factionalism in the BJP, the Sangh realized that it would end up backing the wrong player. The BJP is facing a direct contest with the Congress in assembly elections in Madhya Pradesh, Karnataka, Delhi and Chhattisgarh later this year. By endorsing someone like Gadkari, the Sangh would have presented the Congress with a readymade counter to the BJP's charges against corruption. So Gadkari had to remove himself from the contest. That leaves Rajnath Singh as the strongest contender notwithstanding the last-minute posturing by Yashwant Sinha and Mahesh Jethmalani as the party readies to elect its president on Wednesday, January 23. Besides the mandatory requirement of "20 members of the electoral college of a state" who should propose a candidate's name, Article XIX of the BJP Constitution lays down that a candidate for the BJP president's post should be "an active member for four terms and has 15 years of membership". Jethmalani can fulfill neither condition and Sinha will have an issue in getting his name proposed unless it is Advani's support he is banking on. The candidature of both these leaders, therefore, will only serve to titillate the media for a day. 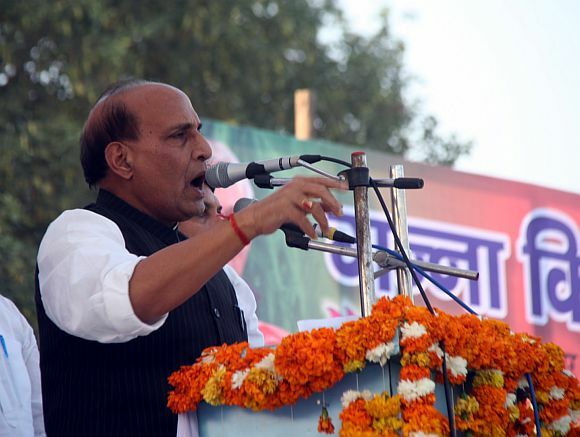 But Rajnath Singh's appointment will not settle the problem of factionalism in the BJP. In his first term as party president after the RSS had shunted out Advani in the wake of the Jinnah controversy, Rajnath had faced stiff opposition from the combined might of Advani and Arun Jaitley. Though the equation between Jaitley and Advani is not so good now, the hostilities have not ceased. 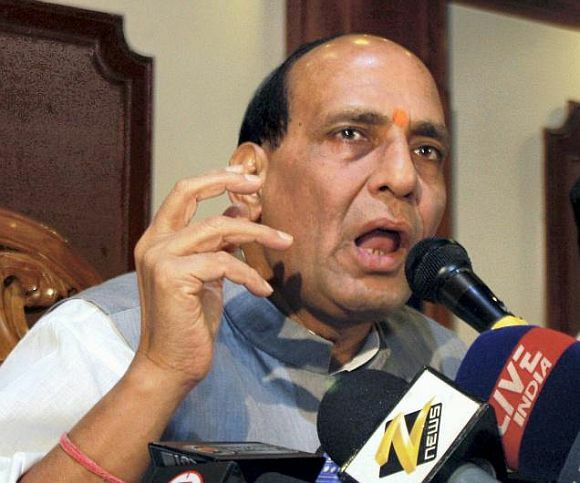 Rajnath has stitched up loose alliances with Sushma Swaraj and Narendra Modi but in his projection on the national scene in the run-up to the Lok Sabha polls in 2014, the equation is certainly likely to be strained. The saffron joint family will certainly witness further rounds of infighting in the days to come.